Borkowsky, Roman [Роман Борковський], real surname Kukurudza – teacher, active in political and community affairs; born on 14 May 1903 in the village of Lapshyn (Berezhany raion, Ternopil oblast, Ukraine; at that time – Berezhany county, Austrian crown land of Galicia); died on 2 March 1977 in London, England, United Kingdom; buried in Gunnersbury Cemetery, London. In 1919, while still at gymnasium secondary school, Borkowsky enlisted in the Ukrainian Galician Army, and later served in the Army of the Ukrainian People’s Republic. In the period between the First and Second World Wars he graduated from the University of Lviv with a Masters degree in philology. He subsequently worked as a gymnasium teacher in Chortkiv and in Berezhany, and was also active in the underground Ukrainian nationalist movement. In 1941 he was arrested by the German occupying authorities but was released after a short time. After the Second World War he initially lived in Germany, where he was director of a Ukrainian school of commerce in a displaced persons camp in Neu-Ulm, and a leading member of the Organisation of Ukrainian Nationalists (Banderivtsi), OUN (B). In 1948 Borkowsky moved to the United Kingdom. After living briefly in Nottingham he moved to London. He continued to be active in the OUN(B), serving for many years in its UK leadership. In 1949 he was a co-founder of Ukrainian Publishers Limited, where he worked from 1951. 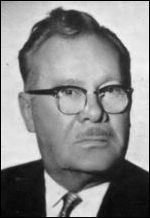 In 1951-1952 and 1954-1957 he was its executive director. He was also a member of the Governing Council of the Association of Ukrainians in Great Britain (AUGB) in 1950-1955, and of the executive committee of the Association of Ukrainian Former Combatants in Great Britain in the 1950s and 1960s. In 1955 he became a co-founder of the Nova Fortuna Co-operative Society, and in 1955-1957 was its secretary. From 1959 to 1962 he was head teacher of the Ukrainian supplementary school run by the London branch of the AUGB. In November 1960 he became editor-in-chief of the Ukrainska Dumka newspaper and remained in this post until his death. For a time he was a member of the executive committee of the Society of Ukrainian Writers and Journalists in Great Britain. In 1963 he became a member of the newly-formed Curatorial Board of the Taras Shevchenko Library and Museum (now the Shevchenko Library and Archive).